The 5.5 inch model of the Alcatel Idol 3, is now available for pre-order in the US at the promotional price of $199.99 unlocked as part of a pre-sale campaign. The handset was supposed to be offered for pre-order on April 21, for a price of $249.99, while the maximum retail price was set at $279.99. The pre-sale campaign gives you a chance to get the handset at an amazing price, but it will expire on April 21, or when stocks run out, whichever comes first. The Alcatel Idol 3 features a 5.5 inch IPS LCD display with a 1080 x 1920 pixel (full HD) resolution, 16GB of internal storage which can be expanded through microSD, a 13MP rear camera, an 8MP front camera, a pair of front facing speakers from JBL, and a 64-bit octa-core Snapdragon 615 processor with 2GB of RAM. The handset comes with Android 5.0.2 Lollipop out of the box. 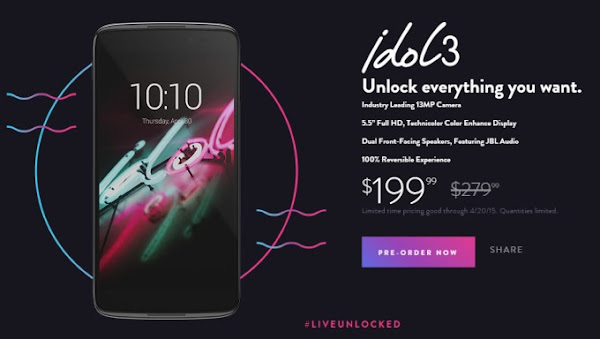 The Alcatel Idol 3 pre-order price of $249.99 was already attractive for an unlocked handset, but at $199.99, Alcatel's first major effort in the US looks very promising. 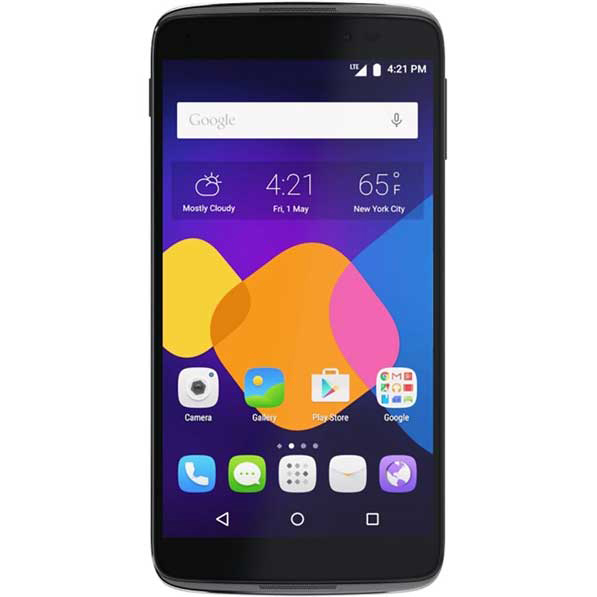 Those who purchase this unlocked Android smartphone in the US, will find that it is compatible with GSM networks operated by T-Mobile and AT&T.